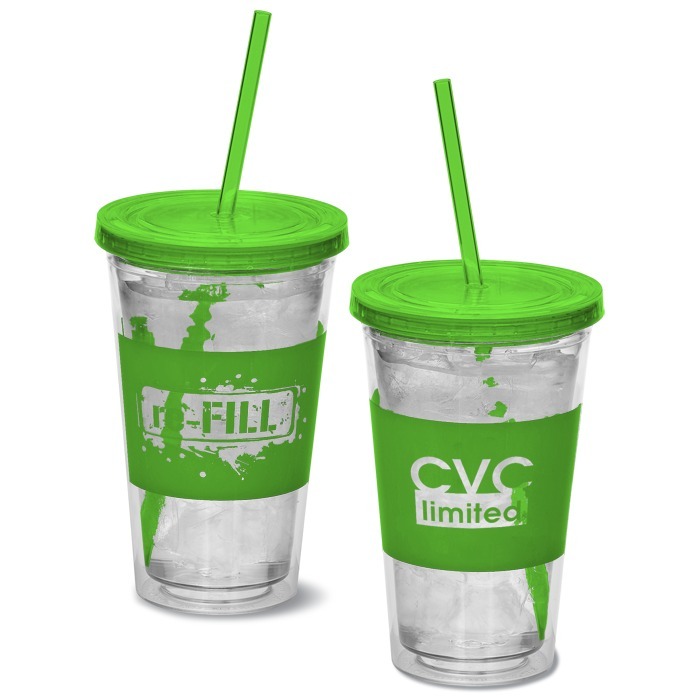 Refill your promotional stash of plastic tumblers ready to ship in 24 hours! The thick stripe through the center of the cup features a “re-FILL” design, encouraging customers not only to drink enough water but also to conserve resources. Your price includes your imprint, showing through the middle stripe.